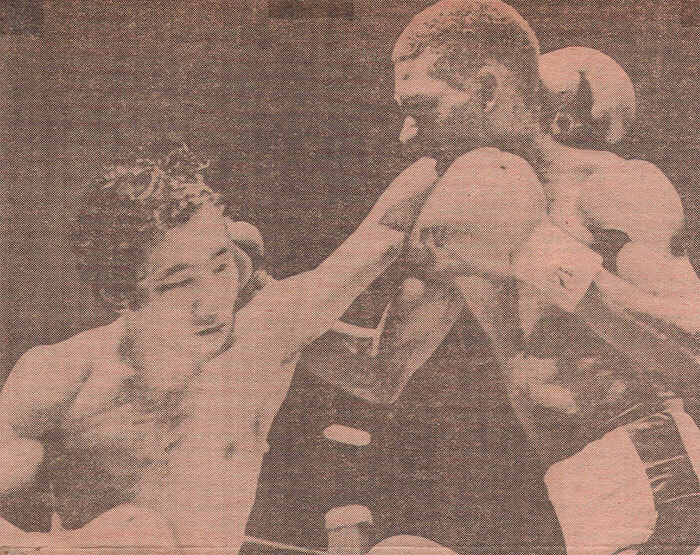 On this day in 1981, WBA bantamweight champion, Joltin' Jeff Chandler made the second defense of his world title in an uncomfortably close 15-round fight in the back yard of challenger Eijiro Murata. The Tokyo bout was declared a draw by split decision and Chandler made it back to the States with his belt still intact. As the fight began, Murata established himself as the aggressor while Chandler used his boxing skills, his height, and his stiff left jab to score points. Most of the bout's action occurred in the middle rounds when both fighters exchanged harder punches. However, the fight was marred by a great deal of clinching. Still Murata worked well to the body as Chandler focused on headshots. Slowly Chandler's punches gained power and his shots became sharper. In the championship rounds, Jeff returned to his careful boxing and once again relied on his jab to control the fight. In the last round, Chandler landed a big right uppercut that hurt the tough challenger. It was closest either man came to a knockdown, but it was too little, too late. Murata survived and made it to the final bell. The scores of the official judges read 145-142 for Chandler, 147-146 for Murata, and 146-146 even. Both fighters felt they had done enough to earn the decision and both called for a rematch. The pair would get their wish two more times. They would rematch eight months later in Atlantic City with Chandler scoring a TKO in 13 rounds. Two years after that, Chandler returned to Tokyo to KO Murata in 10 rounds.